“And they lived happily ever after, The End.” This statement is how all the classic fairytales end. We all know that the glass slipper fits Cinderella’s foot, that the wolf is disguised as Little Red Riding Hood’s grandma, and that the frog turns into the prince. But what if these stories had another side? Another darker, more cynical, and twisted side? 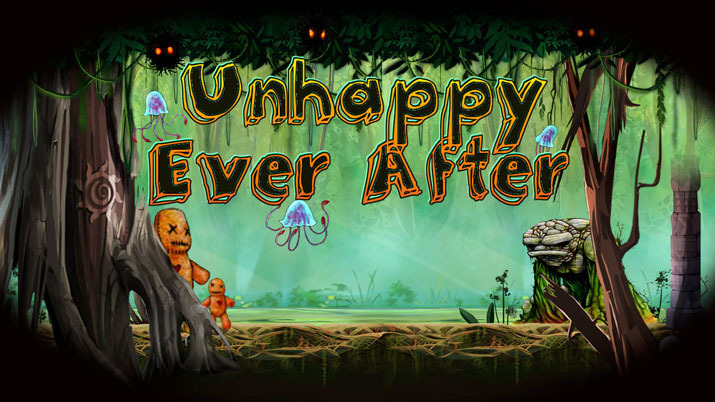 Well, this alternate fairy tale realm is what the developer, Warped Tales brings to life in their brilliantly cynical game, Unhappy Ever After. Unhappy Ever After plunges the fairy tales we have grown to know and love, into the real world, which is not always rainbows and butterflies. It takes Alice, Hansel and Gretel, and many other storybook celebrities and dumps them into the horrific realities of death, struggle, politics, terrorism, and drugs. It is a mature story that provides a unique perspective on children’s tales while addressing the difficult issues that plague societies of today. Playing, you’ll have a blast trying to figure out what fairy tale is being represented and appreciate the thought that went into these distorted depictions. Warped Tales has a brilliantly twisted mind and makes Unhappy Ever After a story you don’t want to end. 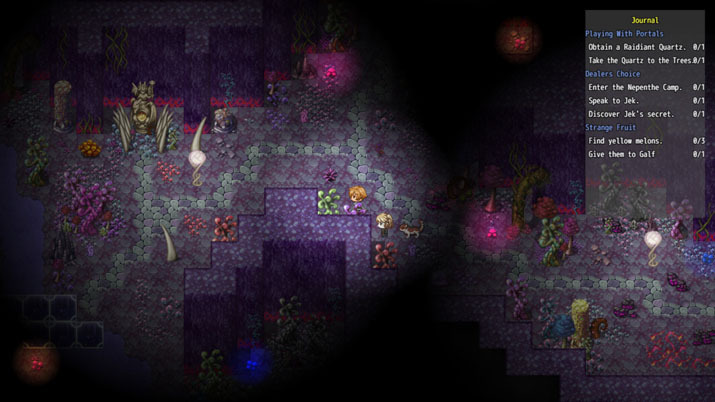 Unhappy Ever After may be an RPG Maker; it’s also a magically beautiful game. Characters are as cute as they’re well drawn, and throughout a journey of epic proportions, you’ll develop feelings of love or hate towards each one. The main atmosphere in Unhappy Ever After is light and bright, and makes you feel at home. However, in an instant, blood can be thrown across the walls, and this warm fuzzy feeling turns dark and melancholic. 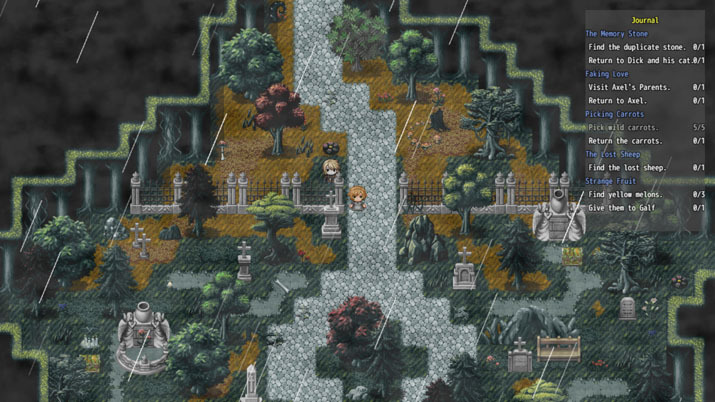 For an RPG maker game, it’s surprising how much thought clearly went into designing each area of the world. Each region has a story of its own. As soon as you step into a new zone, new patterns are brought to life by the unique and defining artwork. There are also different enemies for each of these regions, which adds to its effect and makes each a resourcefully fun place to explore. Combat throughout Unhappy Ever After is turn-based, and is where most the fun takes place. You must strategize what attacks to use, and what weapons, armor, and magical rings will provide the greatest combination of power to defeat your enemies. What I love most about Unhappy Ever After – other than everything else about it – is the influence your choices have on the outcome of the game. Throughout gameplay, you make decisions that lead to different outcomes for the skills of your characters, as well as their interactions and overall development. For example, Unhappy Ever After incorporates a morality system that affects your reputation and how key characters view you. There are various side missions presented throughout play such as gathering carrots or finding a lost sheep. You can decide to either be helpful and accept these missions, or selfishly care only about your primary quest, and decline to help the villagers. The intricacies and subtleties found in the system we’ve come to know as “Choices Matter” work to develop the game’s overarching theme, the juxtaposition between good and evil, what’s fairytale and what’s reality. 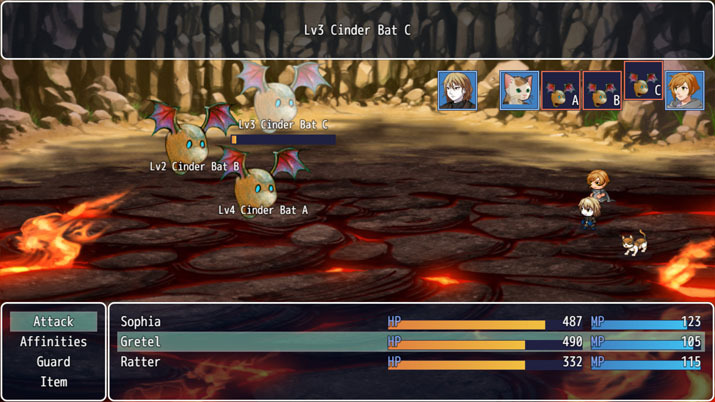 Unhappy Ever After also utilizes a unique magic system where your in-game choices determine the development of your character's combat skills. You can pick different abilities to specialize in such as light versus dark, earth versus spark, and flame versus frost. These decisions are what influence the magic system during battle and your character's development of magical skills. Naturally, I chose the "frost" path to add Frozen’s Elsa to the whole enchanted theme. Unhappy Ever After does have some bugs that need to be worked out. There were times when I was trying to talk to a villager, and suddenly, he or she just disappeared into thin air. Sometimes there was a thought bubble that floated where he or she once stood, and other times there was simply no trace of human life. Also, while playing, I came across an error message twice that said “Range Error Invalid Array Buffer Length” and then the game completely froze. A feature that I wish existed would be the option to flee from battles. In some areas of the alternate fairytale universe, you are bombarded by enemy attack, some that you can never see coming. It would be helpful to escape from battles as fighting every couple of minutes can get redundant.